President Xi Jinping will travel to Europe this week, the foreign ministry said, with Italy expected to join his global trade infrastructure program despite reservations in other European countries. Xi will pay state visits from Thursday to March 26, according to the foreign ministry. An Italian official said last week Rome would sign a non-binding memorandum of understanding with Beijing to officially support Xi’s US$1 trillion (HK$7.8 trillion) Belt and Road Initiative, or the New Silk Road. In Italy, Xi will hold talks with President Sergio Mattarella and Prime Minister Giuseppe Conte, as well as parliamentary leaders. “The cooperation between China and Italy under the framework of the Belt and Road Initiative is mutually beneficial,” foreign ministry spokesman Geng Shuang said when asked about US criticism of the initiative. Following Italy’s announcement, French President Emmanuel Macron said European Union countries should have a “coordinated approach” to Beijing. 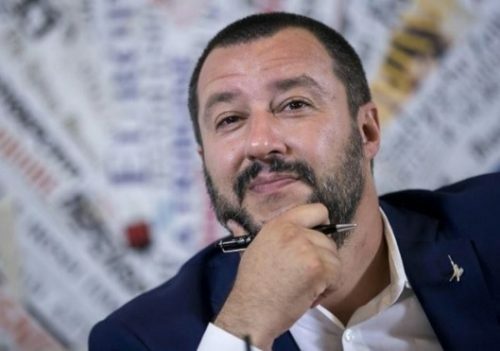 Italian PM, Matteo Salvini: Rome is preparing to sign a memorandum of understanding to officially support the project. Xi will be the first Chinese president to visit Monaco and will hold talks with Prince Albert during the trip. Xi will also meet with Macron, Prime Minister Edouard Philippe and parliamentary leaders in France.